Being a notable biscuit packing machines manufacturer, we bring forth Biscuit Packing Machine (Jumbo Pack) with advanced features. 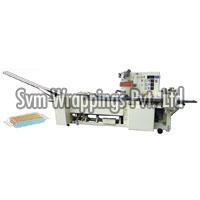 Our Biscuit Packing Machine (Jumbo Pack) is fabricated using electrical components of reputed brands. Our Biscuit Packing Machine (Jumbo Pack) offers high efficiency in packing and the packing speed depends upon the drops and rows of biscuits to be packed. For accuracy in feeding and to get high packing output with minimum wastage, our Biscuit Packing Machine (Jumbo Pack) consists of stepper / servo motor attachment. Biscuit Packing Machine (Jumbo Pack), offered by us, is also fitted with stepper / servo motor attachment for getting high efficiency. The choice of the motor to be fitted depends upon the customized usage of the Biscuit Packing Machine (Jumbo Pack). 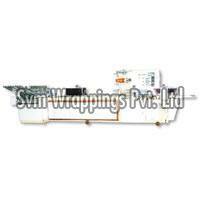 If you are looking for a trustworthy biscuit packing machines exporter, get in touch with us.